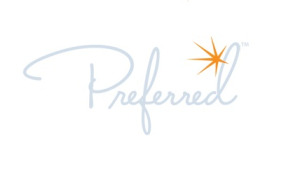 The Preferred Warranty program is included with your purchase, on eligible items, at no additional cost, covering mounting and diamonds up to .20ctw. It lets you know that whether you are local or moving, a college student, in the military or buying a gift for someone in another city or state, that you will find a Preferred Jeweler in your new community. A jeweler that fully guarantees the materials and workmanship of your jewelry, as long as it is registered, inspected and serviced at a Preferred Jeweler every six months.